Says one reviewer about Frank Glover: "(he) is a superb clarinetist. I hear him in the realm of Eddie Daniels. Eddie has raised jazz clarinet quite a few notches to a higher technical and intellectual level. And, I feel Frank has done the same." Glover is truly a cultural treasure. He is a transcendently gifted jazz clarinetist, recording artist, and the recipient of many honors. One such award, from the National Endowment for the Arts, supported a concert at Carnegie Hall. 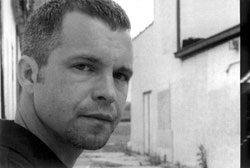 40% Steve hails from Indianapolis, Indiana and was formed at Indiana University back in 2004. The band started in a friend's basement playing for weekend parties and fundraisers. Playing rock and alternative covers from the 70's to today and with great support from their friends and fellow students, the band quickly made their way into the Bloomington, Indiana bar scene and began playing around the Midwest. 40% Steve has been voted "best band" by the students at Indiana University in 2005, 2006, 2007 and again in 2008. The band has played across the Midwest and is looking for continued success into 2009. 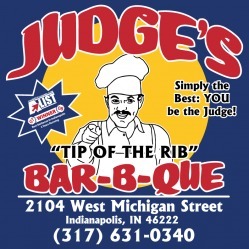 Judge's Bar-B-Que is a locally owned and operated family style barbeque restaurant and catering company located in Indianapolis. Judges offers a wide variety of slow smoked meats – pulled pork, pulled chicken, chicken wings, turkey, ribs, rib tips, beef brisket, Chicago style hot links, brauts, Polish sausages and smoked salmon. Experience the great taste of barbeque at its finest at Operapalooza 2009! Stayed tuned, much more to come!